America Recycles Day was Nov. 15, a day that reinforced the practices of recycling to keep our environment pristine. According to Keep America Beautiful, which promoted America Recycles Day, the current recycling rate is 34 percent. We all know plastic bottles, cans, glass, newspapers and magazines should go into a separate collection, and there’s really no good excuse for that number not to reach 100 percent. But did you know a coffee table, kitchen plates and lamps also can be recycled? Or linens, clothing and tchotchkes? Guadalupe Resale Shop accepts donations of like-new furniture, home décor, kitchenware, artwork, lamps, lGuadalupe Resale Shop accepts donations of like-new furniture, home décor, kitchenware, artwork, lamps, linens, DVDs and CDs, books and all types of nearly new ladies and men’s clothing, including accessories such as jewelry, purses and shoes. The Resale Shop does not accept electronics, used household appliances, mattresses, children’s clothing and toys, baby equipment, gardening tools, light figures, ceiling fans, armoires, entertainment centers or exercise equipment. 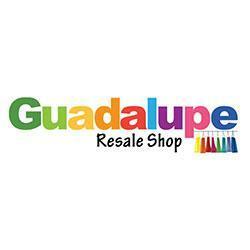 Guadalupe Resale Shop is trying to build its inventory heading into high season, and the store is accepting donations from 10 a.m. to 4:30 p.m. Monday through Saturday at 12980 Tamiami Trail North, Unit 10, in North Naples. The retail store hours are 10 a.m. to 5 p.m. Monday through Saturday. Guadalupe Resale Shop has created a new “Boutique Bash” social event program that allows businesses, churches, community groups and neighborhood associations to host collection drives. After the event, the Resale Shop will send volunteers to collect all of the donations. When you place a soda can or water bottle in a recycling bin, you feel satisfaction in doing your part to keep the environment from becoming more polluted. When you donate to the Resale Shop, you not only are helping the environment, but you’re also helping to create endless possibilities for local children. Proceeds from sales at Guadalupe Resale Shop help fund educational programs at Guadalupe Center, which has a mission of breaking the cycle of poverty for the children of Immokalee.